Restorative Gloucestershire is committed to promoting the use of Restorative Practices through facilitation, advice and by supporting others to use and develop restorative skills. 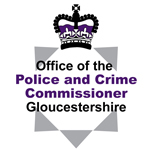 Restorative Gloucestershire is a group of statutory, non statutory and voluntary sector partners that have joined with the aim of offering all people who come into contact with the criminal justice system (CJS) or who come into conflict in the community an opportunity to participate in a restorative intervention. Develop the use of Restorative Practices across services operating in Gloucestershire and throughout communities in Gloucestershire. Build on existing work where Restorative Practices impact positively on outcomes in order to develop a strategy designed to embed Restorative Practices county-wide. Implement the use of Restorative Practice Philosophy, not just Restorative Justice Interventions. Place an emphasis on the proactive, community and relationship building side of Restorative Practice as well as dealing with reactive side of Restorative Practice. Employ agreed protocols that strengthen relationships and seek to repair harm when relationships break down. A restorative process can be used in a number of different settings where conflict has occurred, for example, schools, children’s homes, communities, across the criminal justice system, or in the workplace. Restorative processes address conflict, build understanding and strengthen relationships with people. They give harmed people/victims the chance to tell offenders the real impact of their crime, to get answers to their questions, and a chance for harm caused to be repaired. It lets harmers/offenders understand the real impact of what they’ve done, to take responsibility and make amends. Restorative Justice holds harmers to account for what they have done, personally and directly, and helps those harmed to get on with their lives. Restorative practice includes using these processes formally (for example, a restorative justice conference involving victims and offenders, or in a care home following an incident of harm), or informally, in the course of daily work (for example as used by a police officer to deal with low level crime on the beat, or a teacher, to manage a conflict between young people in the classroom). Would you like to volunteer for Restorative Gloucestershire? Flexibility – will need to work within limited time frames. For example prison regimes and probation appointments. 3 day restorative justice training, working with an experienced facilitator and gaining experience before facilitating your first conference. Regular volunteer meetings with case discussion and the opportunity for further training. When we receive it we will call you to arrange for you to come in and have a chat.